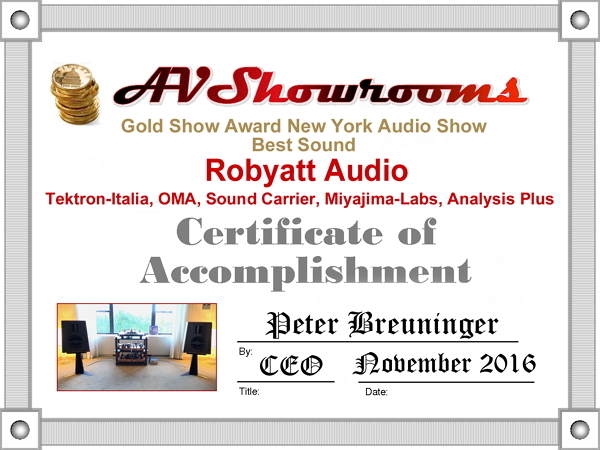 NY Audio Show 2015 Awards The Reviewer's ViewThe Gold Show Awards Equipment Listing Certificates are Below! The New York Audio Show was held in the Park Lane Hotel on Central Park South directly across from the fall red yellow and brown trees of Central Park. I visited on Friday and was able to cover most of the show. Some rooms were so crowded I couldn’t get in! Truth be told, the rooms were relatively small, it is indeed NYC. 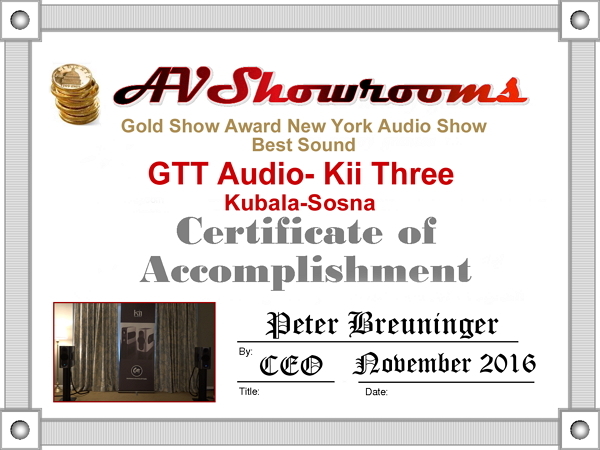 The stand out rooms included the Care Audio room with ATC active speakers, the GTT Audio and Video room with active Kii Three speakers and the Robyatt Audio room with OMA pro series speakers. See the trend here? 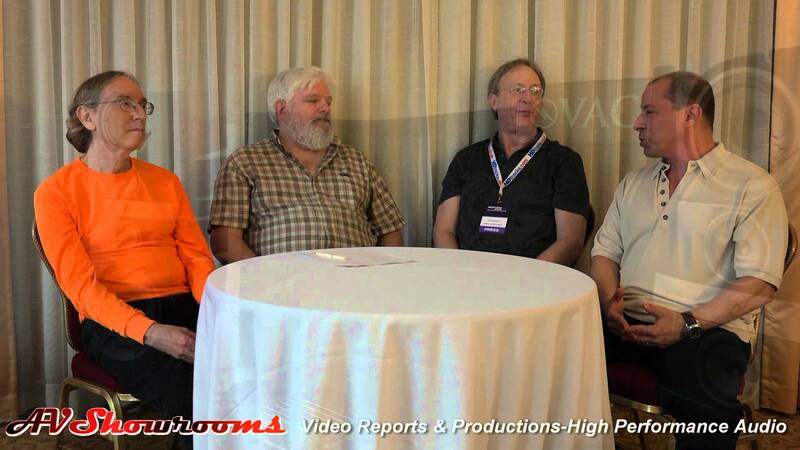 The hotel was not build for audio shows. One room I visited had the room operator sweating bullets switching walls during the show opening! Have no fear, the organizers never stay at the same hotel! Rotation has its ups and downs. Last year the Hilton in Westchester, New York was a very good venue with great sounding rooms. Back to the highlights… the Kii THREEs are fully active and adaptable to any sonic environment, no wonder they sounded so good. 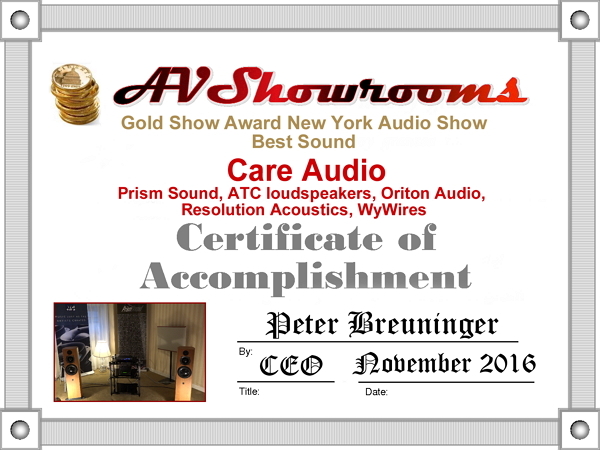 Care Audio not only utilized the active ATCs but also added Resolution Acoustics room treatment to solve bass issues. The results were spectacular! 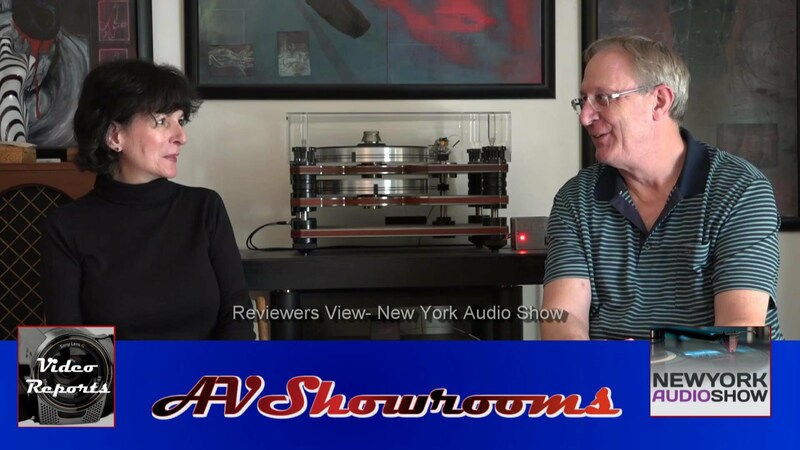 The Robyatt Audio room featured really cool electronics from Tektron-Italia with a special commissioned build run of #50 SET tubes, a true mesh plate triode for the amp’s output. The sound was realistic and very involving. We did a stereo-mono test so I encourage you to watch and listen to this video and see if you can identify which is which!